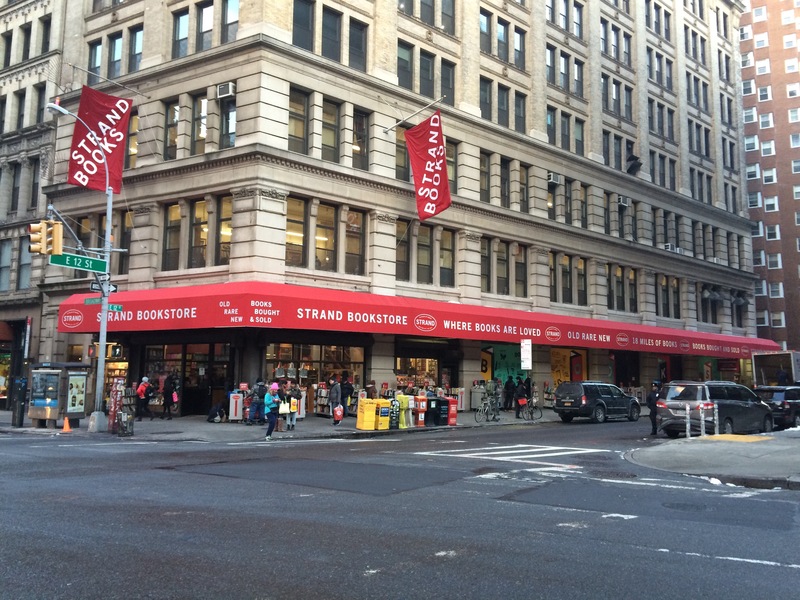 Hope you’ve been enjoying your virtual trip to New York so far this week 🙂 If you’re a bibliophile like me, chances are you may have heard of Strand Bookstore; it’s renowned for being home of almost 20 miles of new, used and rare books. No mean feat when real estate is such a precious commodity in NYC! A family business (like so many are) started back in 1927, Strand now has over 2.5 million books to choose from with staff who are not only knowledgeable about what they’re selling, but also big readers and book lovers themselves. Instead of the standard hovering and annoying staff you often find in big stores, these guys are actually really helpful in finding what you’re looking for (and in a store this big, the help is much appreciated). Strand has become a bit of a city institution, and now not only sell books, but also host a range of events such as book signings and readings, book swaps and Q&A panels. Go with an empty carry bag and a stacked wallet, because with that many books, it’s impossible to leave without a few! Hi, looks a fantastic book shop, and a great city.